I used a Merlot and a vanilla bean for flavoring. The ice cream is creamy and sweet and first, but then you get the tang from the wine. I really enjoyed it and have several ideas for variations in the future which will include fruit. This Merlot version would have been great with some fresh blackberries. Update! 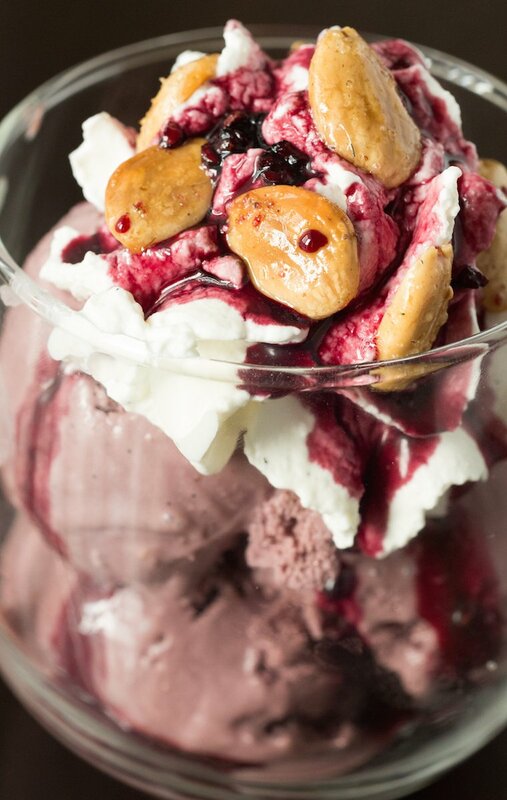 : I recently made this same ice cream, but took it to a whole new level with a Wine Ice Cream Sundae. It is topped with vanilla bean whipped cream, spiced red wine syrup, and lavender almonds. Heavenly! I highly recommend making it. 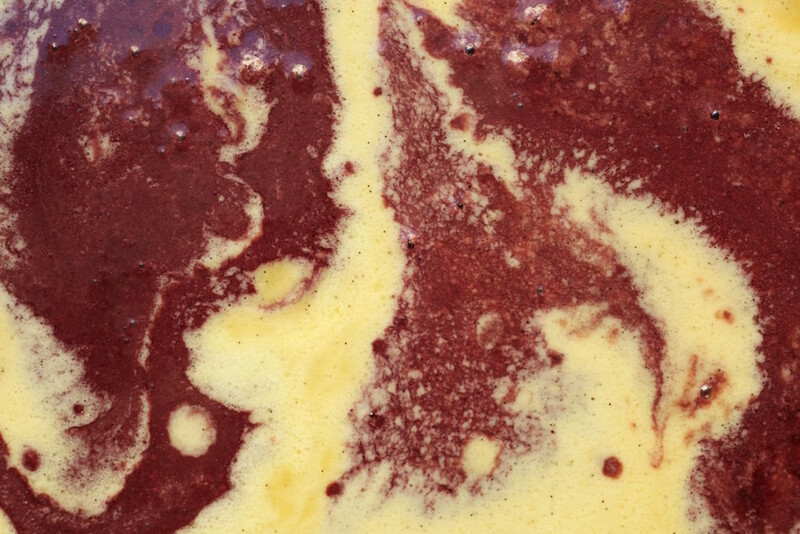 The first step in making our wine ice cream is to reduce the wine down to a syrup-y liquid. Pour your bottle of red wine into a large pot and simmer over low medium heat until it is reduced to one cup of liquid. This took about an hour for me, but it could be sooner, so you should keep an eye on yours. Once it has been reduced, set aside. Beat your egg yolks with a fork or with a mixer until they are light colored. Remove the vanilla bean pod from the cream and slowly add the cream into the egg yolks. It is important to add the cream to the eggs very slowly so that they do not curdle. Once you have successfully added the cream to the eggs, pour the mixture back into the pot and cook over medium heat until it thickens and turns in to a custard. If it sticks to the back of a wooden spoon, it is done. Remove from it from heat.
) and freeze according to directions. (For me this is about 30 minutes). 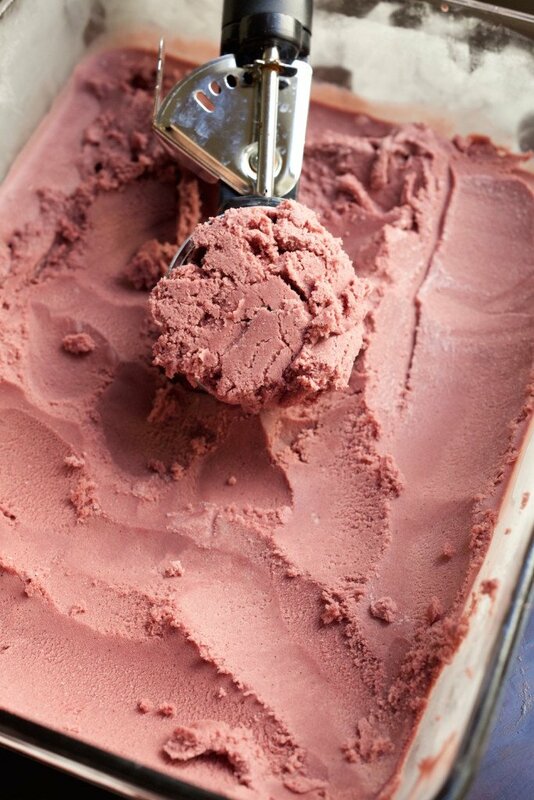 If it is too soft for your liking, stick in the freezer for a few more hours. 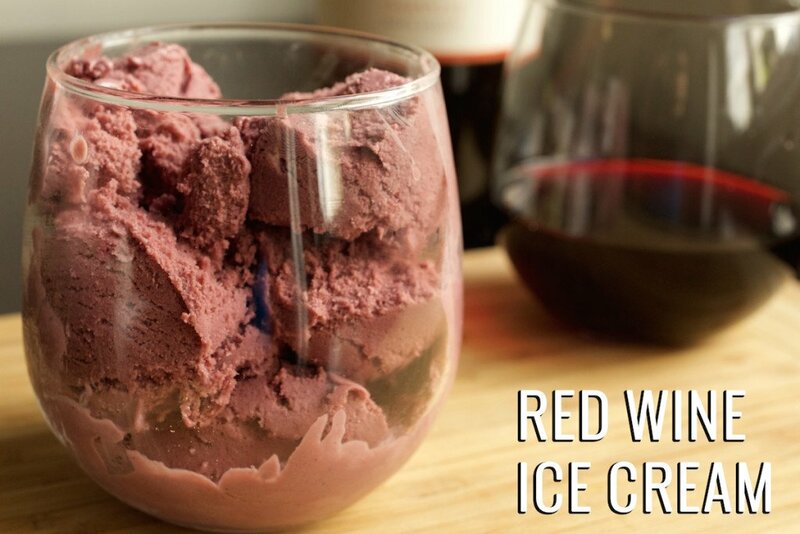 Then sit back and serve yourself a glass of Red Wine Ice Cream alongside a glass of red wine! Half & Half is sold in the dairy section of grocery stores. It is half whole milk, half heavy whipping cream. It is listed in the instructions at the end, when you stir in the reduced wine. Hi! I’m italian and here we don’t have the heavy wipping cream, i’ve always wonder how could i do it with other ingredients, you know how? Hang on, if you reduce the wine doesn’t that cook off the alcohol? Can this stay in freezer for a couple days before its eaten? Need to make ahead due to my schedule. Thanks!! Absolutely! I usually end up freezing my leftovers for a week or two and it is always still really good. I made this the other day and added Cocoa Nibs. Heaven in a spoon!!!! Anyone ever tried a dairy free version?? I know, #yawn!! But it could be possible, right? Like a wine sorbet?? Hi, the wine needs to be reduced to how much, please? Check the second sentence of the directions. Reduced to one cup. Hope this helps even though it’s like a year later ? Is there a way I can substitute the actual vanilla bean with vanilla extract?